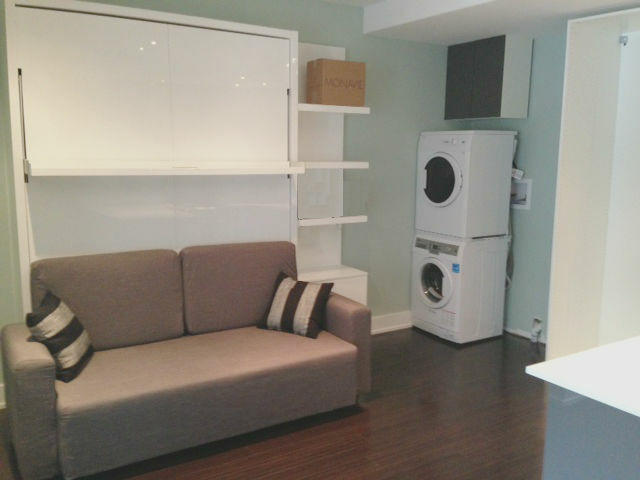 This Ms-Float unit was installed in a bachelor apartment as a rental unit by a customer. He installed it himself with a friend following our instruction manual and set up a beautiful apartment rental unit. “Hey, just wanted to share photo of the studio, my tenant is very pleased with the space. Browse through our selection of modern sofa wall beds to find the best space-saving furniture for your small home.